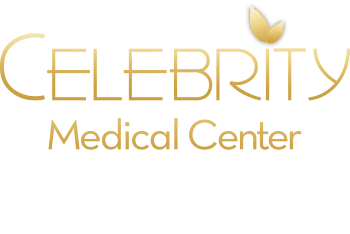 Celebrity Medical Center was first opened under the name of Celebrity Medical Spa in 2012 by two physicians, a husband and wife team, Dr. Eldar Baigabatov and Dr. Aida Behani. Originally we were offering only Aesthetic procedures such as Facials, Cavitation and Radiofrequency, Botox and Fillers. While pursuing further education in these subjects, Dr. Eldar run into someone who was practicing Anti-Aging Medicine. Intrigued by the name he started learning more information on the topic and found a whole new field that he was not even aware of. This soon changed his whole prospective on Conventional Medicine. Anti-Aging Medicine is also known as Functional, Integrative, and Life style Medicine. While still working as an Independent Contractor for other Primary Care practices he actively started incorporating the knowledge into his practice and noticing dramatic changes in the health of his patients. We finally were able to reduce the number of medications the patients were on instead of using a Polypharmacy approach: a pill for every condition and then a pill for the side effects of the pill. Patients started having more energy, losing weight, improving their body composition (fat vs muscle), improving their hormonal imbalances and intimate life. This is when Dr. Eldar realized that conventional approach was not helpful in the chronic condition management because it provides only a temporary "bandaid" instead of fixing the underlying root source of the problem. In 2013 we went back to offering Primary Care medical services at our Spa, accepting insurances as a form of payment instead of cash only. However, soon we realized that patients and insurance providers were getting confused about the scope of the services we were providing so we changed the name to Celebrity Medical Center. This was more reflective of the comprehensive services that we offer. Since then we've progressed at a tremendous pace, learning and offering more options and solving more problems for our clients. We are happy that we were and still are able to provide answers and solutions to our clients' concerns, especially when all of their other physicians keep on telling them: "your labs are normal but here's another pill just in case". We rarely advertise our services since most of our clients are through a word of mouth. We are a team of Physicians, Nutrition and Aesthetic practitioners with diverse backgrounds joined to achieve a common goal to help our clients become Healthy, Fit, Attractive and Vital for years to come. Attentiveness to every detail. Commitment to helping you achieve your desired goals. Diligence in carrying out the tasks involved in helping you to reach your goals. Efficiency of the system as a whole unit. Growth of the relationship between our clients and our team, knowledge and skills, Integrity of our relationship. Teamwork where everybody knows their responsibility and what is required of them to contribute to the common goal. We strive to deliver value above and beyond your expectations. So Who is our in crowd? Those who understand that it takes time and work to get something done. There are no miracle pills or diets that will transform you instantaneously from the point where you are to the point where you want to be. Those who understand that conventional medicine is great at saving lives but not at maintaining your health. Those who understand that we need an integrative approach to restore the balance in us and that we are not just a compilation of diseases with specific complications or bunch of organs put together functioning disjointly. We are complex organisms with complex network of systems evolved over millions of years. If one piece in this network of systems gets out of balance then the rest of the network knows about it and responds with built in mechanisms. Who are not a good match for us: Those who are price shopping instead of looking for the value. We hate to disappoint you but we are not the cheapest around because you get what you pay for. Those who don’t know what they want, can’t make up their mind, want a quick fix. You didn’t get to the point where you are overnight so don’t expect it to be reversed in a few short weeks or months. Time is precious and we don’t like to have others spend it for us. If you want to be part of the team then don’t hesitate and pick up the phone, stop by the office or request your consultation on line and get ready to embark on the new journey to Healthier, Fitter, More Attractive and Vital You.